Agricultural research and the innovations that arise from it are important in addressing food security and improving livelihoods of the poor. So those of us in the business of non-profit agricultural research really have an obligation to make sure our research data, information and knowledge resources reach the audience that drives this research in the first place – farmers, farmer organizations, policy makers and other researchers. When the UK DFID (Department for International Development), aware of the value of putting research into use, commissioned FAO (Food and Agriculture Organization) with the task of catalyzing efforts to ensure that agricultural research information and knowledge become public domain, it triggered the formation of a global partnership on Coherence in Information for Agricultural Research for Development (CIARD). The partnership includes FAO, GFAR, the CGIAR, CTA and others in the agricultural research community. The partners in the CIARD initiative are committed to promoting the sharing of data, information and knowledge to empower the various stakeholders involved in agriculture. To begin with, CIARD outlined a checklist – the Triple A checklist that defines what is meant by ensuring your research outputs are Available, Accessible and Applicable. The ICT-KM office has been actively measuring or rather, benchmarking the availability and accessibility of research outputs in several Centers in the CGIAR, namely Bioversity, WorldFish and CIAT. This will extend further to include CIMMYT, CIP, ICARDA and ICRAF, who are in the first batch of volunteers. What makes this exercise fruitful is the suggested CIARD pathways or processes that Centers can adopt to make their research more accessible. Pathways will help researchers identify a publisher who has more flexible policies on open access, so that they do not have to sign away all rights to their journal article. These pathways will also help a senior manager understand the value of institutional policies that enable sustainable development of repositories for their center. They will be brief and to the point. Where users like the IT unit and librarians, want more detail i.e. on Creative Commons, there would be linked resources on the web. • General – strategic and policy issues, organizational issues which need to be addressed in handling research outputs. • Capture, Collection and Curation of research outputs – ensuring that all the outputs are described in a form that makes them available and accessible. • Managing Web Presence – using the internet to make the information accessible to others. In order to take stock of feedback and define these pathways further, CIARD partners met last week in a Writeshop, May 28 – 29 at Bioversity, Rome. Hosted by ICT-KM, the group worked on clarifying the users for the many pathways proposed, the authors and format for each pathway. Given our experience in social media, ICT-KM will be heavily involved in providing resources and support in the third cluster of pathways. I write this from CIAT, where at the Knowledge Sharing Week of the Institute we have been presenting approaches to increase availability and accessibility of CIAT’s research outputs. CIAT was the second center where we carried out AAA benchmarking. The results of this exercise were presented to the participants in the Knowledge Sharing week, where scientists from all over the world reviewed data showing the availability and accessibility of the results of their work. Good news: such is the support to the results of the benchmarking, that a plan of action with the committed support of the Director General is being prepared. Concrete actions to ensure the results of the hard and valuable work of CIAT’s researchers get to the hands of those who need it most. Next we are moving to Bioversity, where the benchmarking exercise has started! Stay tuned. Visit CIAT’s blog. Highly recommended! Well done to all of CIAT’s colleagues! Last Thursday we offered our support to CGIAR centers and challenge programs to ‘benchmark’ the availability and accessibility of their research outputs. By using an already tested framework, we offered to help measure how many research outputs can be easily accessed, mostly electronically. We offered support in determining their goal in a determined period and the most suitable pathways to get them there. At the end of the period, we will help again benchmark the progress. This exercise is not mandated by any external body, it is an initiative designed after our session in Maputo on Opening Access to Research outputs . We just offered it as an opportunity to do a self-assessment that helps determine one’s own goals in this area. All in support of improved impact of our research. We said we had ‘space’ for 6 centers or programs in our workplan….by Sunday night, we had 7 subscribers! We had to turn others down…. This goes to show: the commitment to ensure we put our research into use is unwavering! Note: “Opening Access to CGIAR Research Outputs” and AAA are initiatives under the CIARD partnership. Now the question is…how do we make agricultural research outputs useful? 1. Priority setting: We need better methods and consistent approaches to help achieve priority setting. Need to make sure to include all key stakeholders in our priority setting exercises. 2. Re-orient our thinking about the contribution of research to development goals: We often plan our research according to the things we are good at, the things we know how to do, and then see how what we find as a result of doing our methods can contribute to something larger (a goal). Instead, we need to think more about the real problems, needs and goals and how we can contribute to solving them. 3. Collaborating and partnerships: It is key that partners and stakeholders are engaged in our research and that we cultivate appropriate relationships with them. But we cannot just acquire partners or form partnerships in name. It is vital to make our research more applicable to know when and how to make collaboration effective. We need to know with which partners we should be working and on what types of activity, so we can enrich the research process for all involved. 4. How to get an effective multiplier effect for participation: How can we find more effective ways to facilitate participation in our projects, to implement them despite budgetary and time restraints, and also to have multiplier effects? 5. Embed research in reality: To make research more applicable, we need to fit our research to the particular contexts in which we are working. It is also vital to look at the whole value chain. This will help to make it more applicable to real life conditions. 6. Develop and use knowledge products as tools: Very often research institutes produce various products such as policy briefs and the emphasis is on the end-product. These products in themselves will not necessarily do anything. It is necessary to think differently about products as tools in a more active and dynamic process of influencing and providing information for decision-making. Therefore we must design products so they fit the ways we hope they will be used. 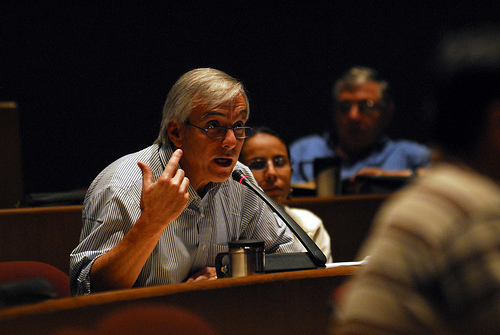 On 30 November 2008, some 35 people joined a side-session of the CGIAR AGM to discuss ‘Opening Access to Agricultural Research – A Triple-A Approach to Make Research Available and Useful.’ Participants were a broad mix, from communications, information management, science, and science management. It followed an earlier presentation with senior CGIAR managers as part of a discussion on international public goods. The starting point was a ‘Triple A’ approach developed in late 2007 by the ICT-KM Program (and since broadened through partnership with CIARD) that focuses on the availability, accessibility and applicability of research outputs. • Availability: assembling and storing outputs so they will be permanently accessible, and describing them in systems so others know, and can find, what has been produced. • Accessibility: making outputs as easy to find and share and as open as possible, in the sense that others are free to use, reuse, and redistribute them, with appropriate acknowledgement and without restrictive legal, technological or financial barriers. • Applicability: research and innovation processes that are open to different sources of knowledge, and outputs that are easy to adapt, transform, apply and re-use. An introductory presentation argued that many research outputs, especially in the form of publications, are generally much less accessible that we would wish – but that promising ‘pathways to accessibility’ do exist and can make a substantial difference along the entire research cycle. There are also promising new avenues through social media that have potential to open up and diversify research communication. Participants formed groups to reflect on these notions and to identify concrete pathways and other solutions to overcome accessibility gaps. Both groups called on research institutes and centers to adopt common standards to describe and tag their outputs and when building information and web systems. They want the content of these systems to be easy to exchange and share. Initial efforts in this area by the CIARD initiative were recognized to be a good step forward. One of the groups discussed whose responsibilities these issues should be – of information and communication specialists or of scientists themselves. The result seemed to be consensus that both groups have to be made much more aware of what is possible, with researchers and research managers needing additional capacity building, especially to ensure that they make communication an integral part of project planning, from inception to completion. For the CGIAR, the recent performance monitoring was appreciated as creating an external demand on Centers to collect and list all their peer-reviewed outputs. It was suggested that this should be extended so the Science Council would expect Centers to also deposit a digital copy of all these outputs in a suitable institutional repository. Thus the quality and the accessibility of the outputs would be guaranteed. Making the most of our research outputs…or making our pigs fly! In Maputo on 28 November, the Alliance of CGIAR Centers, the Global Forum for Agricultural Research (GFAR) and the CGIAR Science Council organized a technical workshop on ‘International Public Goods (IPGs) in agricultural research for development’. The cross-border benefits of these public goods depends, among other things, on their “spillover potential — how well does the PG travel?” This ‘potential to travel’ of research outputs was also the focus of a presentation by Peter Ballantyne for the ICT-KM Program of the CGIAR. Following Byerlee’s argument that “we [the CGIAR] just can’t produce IPGs and put them up on the shelf,” the thrust of the ICT-KM presentation was that the high quality of outputs, based on peer review for example, is not sufficient in itself to ensure wide access to the outputs, across borders. Extra efforts are needed. Ballantyne used a ‘Triple A’ framework to illustrate how many CGIAR research outputs can’t travel to developing countries and elsewhere because they are not available or accessible. Thus they are less likely to be put to use in development. Indeed, perhaps they should not be seen as international public goods until they have been made truly accessible. • Using ‘accessibility’ indicators alongside ‘quality’ indicators would help focus attention on the need for uptake as well as production. • The CGIAR should continue to work with other organizations – like GFAR, FAO, CIARD … and specialized communities. • Continuing to focus along entire research cycle, working with intermediate and final products and a wide range of outputs – data, databases and systems, documents, etc. • Transforming and building on the many smaller innovations across the system to achieve something more like a system-wide ‘movement’ towards truly accessible outputs. These issues will be followed up in the AAA workshop on 30 November and the workshop on improving agricultural knowledge sharing, education and learning on 4 and 5 December .